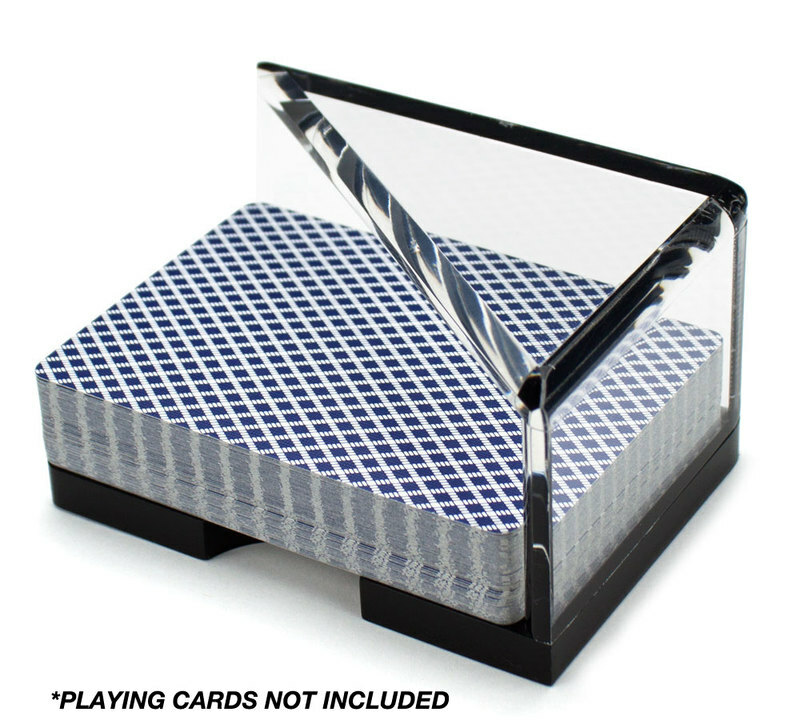 * The discard tray sits on the dealer's right side and holds all the cards that have been played or discarded. 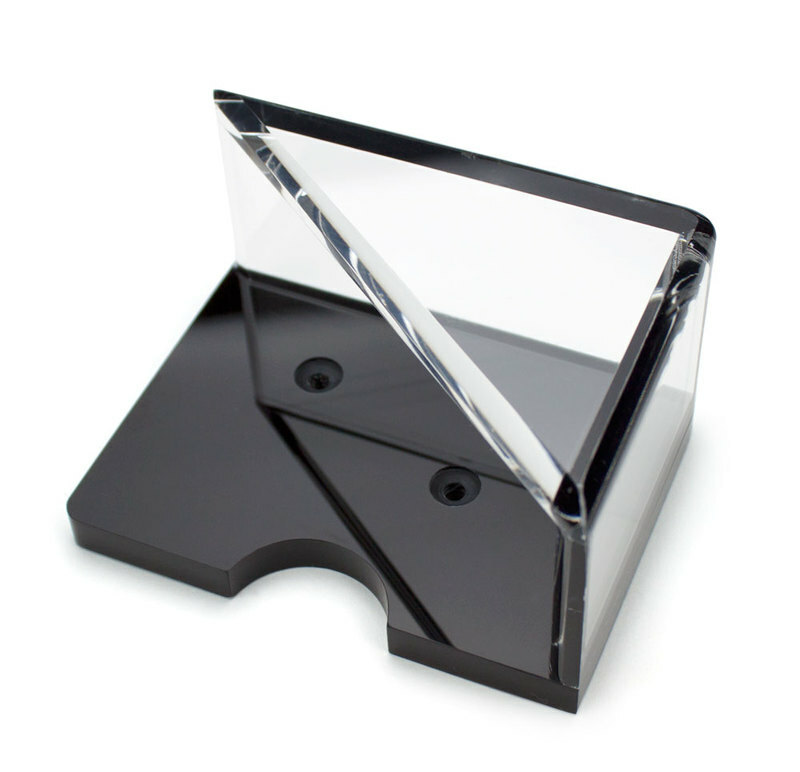 This professional grade discard holder is manufactured from a thick acrylic and holds up to 2 decks of discards. The edges are all nicely rounded and the holder is capped off with a top. Includes tow pre-drilled holes for easy fastening to the table top and a finger slot for easy card pick-up. Playing cards are not included. 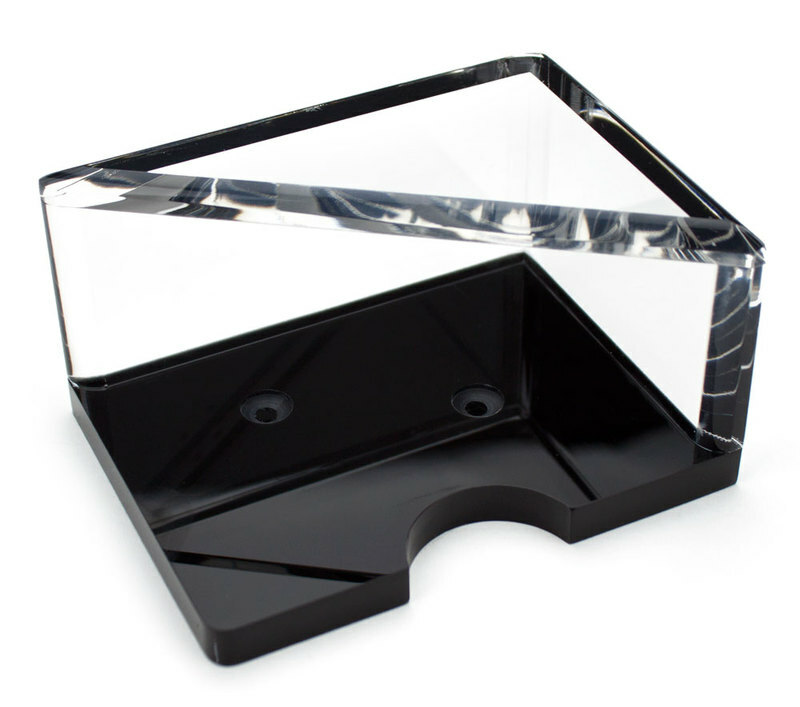 * Made from professional grade acrylic that is 1/4" in thickness.